Mercedes has announced Maro Engel will not continue as part of its DTM line-up in 2018, the German opting to focus on his commitments in Formula E and GT racing instead. 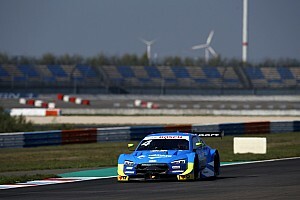 Engel, who had an initial four-season stint in the DTM between 2008 and 2011, returned to the championship last year and scored his maiden win at Moscow Raceway. The 32-year-old had also joined Formula E with Venturi, and dovetailed commitments in the two categories last year - but was forced to skip the Paris ePrix due to a clash. 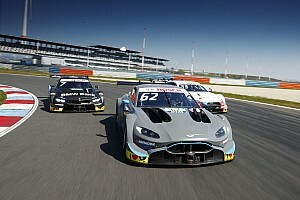 Yet he will now prioritise the all-electric series, alongside outings in Mercedes GT3 machinery, vacating his spot in the six-car DTM line-up. 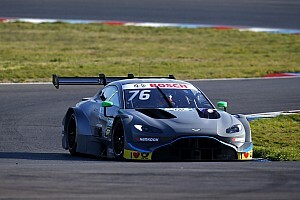 “I still had a small score to settle after my first stint in the DTM, which I was able to put right last year by taking my maiden win in Moscow,” Engel said. Engel currently sits 16th in the standings for the current Formula E campaign, which will clash twice with DTM rounds in the coming months. Mercedes will depart the German touring car series at the end of the current year to concentrate on its planned works entry into Formula E in 2019/20. “It's a pity that the Formula E and the DTM racing calendars overlap to some extent this season,” Engel added. “Unfortunately, there's no easy solution, because I would love to be lining up again in the DTM, especially as it's Mercedes-AMG's final year in the series. “With an eye to the future, though, we decided that I would concentrate fully on Formula E and GT racing in 2018. “However, I intend to be at some of the team's races and hope they can bring the title back to Stuttgart and Affalterbach in their swansong year." Engel is the second driver to withdraw from Mercedes' DTM line-up, after Robert Wickens opted to switch to IndyCar with Schmidt Peterson Motorsports. His Venturi Formula E teammate Edoardo Mortara is himself a Mercedes-contracted driver, and is expected to remain in the series for the German marque's final DTM campaign. Former series champion Pascal Wehrlein and reserve driver Daniel Juncadella are the likeliest candidates to take up the free seats in the six-car Mercedes roster.